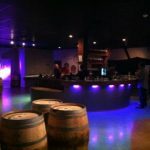 Opening tonight: Meat bartenders staffing Angel’s Envy Derby Week ‘pop-up bar’ on Main St.
Angel’s Envy, a super-premium bourbon brand produced by Louisville Distilling Company, is bringing back its popular “pop-up bar” for Derby Week. The bar will be staffed with bartenders from (the currently idled) craft cocktail lounge Meat, who have produced a one-off list of crazy-good drinks for the week. The bar is located at 400 E. Main St., directly across from Slugger Field, and will open tonight at 4 p.m. If you’re celebrating New Year’s Eve at home with friends or out on the town this year, we’ve got some adult beverage suggestions we’re betting you’ve not had. 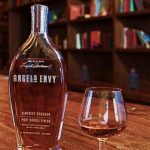 First up, Angels Envy Cask Strength: This is a big-budget item worth the mention if you’ve had a good year financially—which means post-fiscal cliff, you’ll have a tough one next year—and have the extra coin to splurge. And given that Pappy Van Winkle “Any Year” is harder to get than a straight answer from a politician, this is a good suggestion, if you can find it.